White sport headbands terry for sweat. 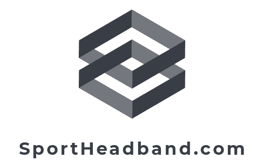 White sport headbands are absorbent and machine washable so you can keep using them as often as you need. Hit the court with confidence when you have white athletic terry headbands. White cotton terry cloth head bands keep the sweat out of your eyes in different styles and accessory colors. White head bands can come with logos embroidered on them or pure as the day they were made.